One of the most important thing I've learned about a writer's journey is that it is never over. I am always learning. I am always asking other authors for advice. And as I'll be a guest speaker at a writer event in June, I thought this would be a great time to interview some writers who've had experience at this. 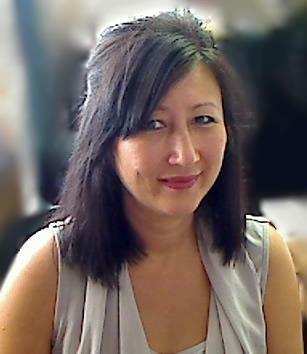 Today's interview is with romance/suspense author Brinda Berry. She lives in the southern US with her two spunky cairn terriers. It's an honour to have Brinda stop by to share her experiences, especially since Brinda has just come back from attending the Romantic Times Booklovers Convention in New Orleans. (So jealous). Brinda: I worked hard in the pre-published stage, but I do believe the intensity increases once you're published. The biggest difference is the responsibility you feel for meeting deadlines (publisher set or self-imposed). It's always a feeling that you must move on to the next project. Writers today are producing so quickly and readers expect that. "Writers today are producing so quickly and readers expect that." D L: Do you prefer being a member of the audience or the one on the stage/behind the desk? Brinda: I love being on the stage and giving readers an emotional experience. Brinda: I've participated in both. I think that joint events are such fun. Writers are very supportive. It's nice to help promote each other because it can feel awkward sometimes to promote yourself. Brinda: Yes, but sometimes I want to answer the questions I wish I had asked. It's a case of "you don't know what you don't know." As a pre-published author, I had no idea that so much is expected beyond the actual writing. You may think I'm speaking of social media and promotion, but other aspects--like the business end of being an author--are as important as the writing. Brinda: For Romantic Times Booklovers Convention in New Orleans, I brought lots of paper items like collector cards and bookmarks. In a convention of this size, you must stand out because there are so many authors. I brought approximately twenty book swag necklaces. I handed this item to readers who specifically fell into my target audience. I wish I'd had more novelty items like that. The downside is the cost for doing that. "I wish I'd had more novelty items like that. The downside is the cost for doing that." Brinda: I believe I've contacted all the events I've attended. You have to be very proactive. Thanks so much for sharing! Please leave a comment to thank Brinda for sharing her experiences with us. These are valuable tips. 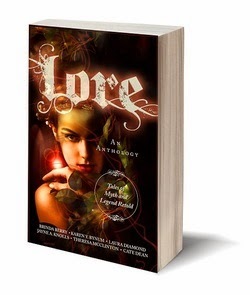 P.S I have a copy of "Lore" in Read and Review pile. As soon as I've read it I'll post the review. It's only 99c for a limited time. Brinda, a great insight into your writerly life. I agree - there is never a day that I don't learn something. Usually it's from other writers, like yourself, and I'm so grateful to my writing colleagues for their generosity. Thank you Brinda and Deb, for a wonderful post, and a wonderful series on author talks. Thanks Noelle. I'm really enjoying hearing about other author's experiences, which reminds me that I'm waiting on a few more posts so I can share these, I'll have to chase up these shy people and get them to open up.